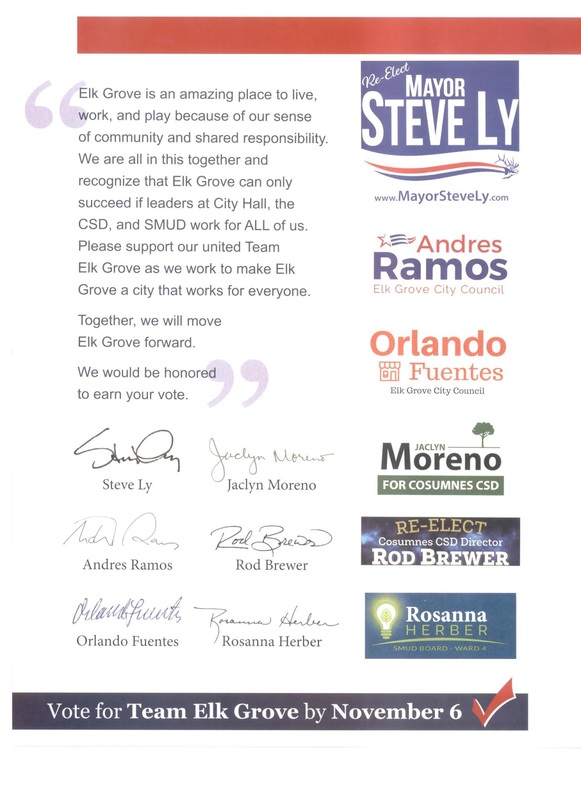 With just over three weeks until elections, one of the staples of a standard local campaign, lawn signs, has yet to appear for two candidates running for the Elk Grove City Council. 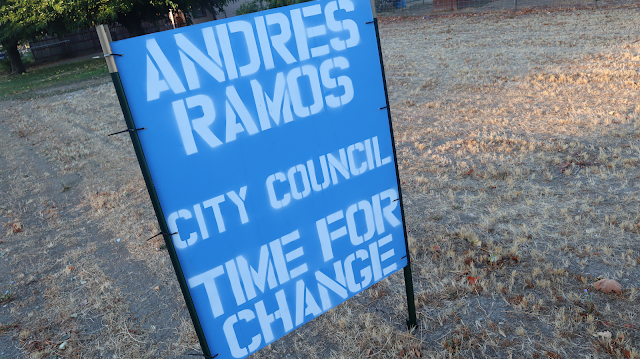 Andres Ramos and Orlando Fuentes who are respectively challenging Pat Hume and Stephanie Nguyen for the District 2 and 4 seats, aside from a few homemade signs for Ramos, are not spending their campaign cash on the staple. 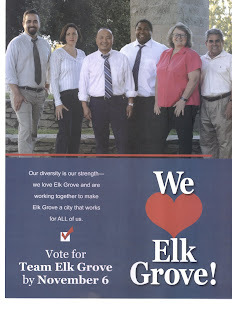 Instead, they are using their money on joint mailers for the so-called Team Elk Grove. 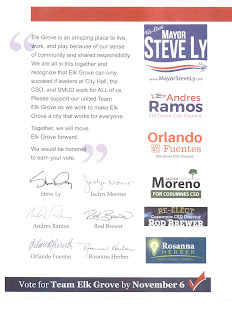 Headlined with Steve Ly, the four-page glossy mailers are promoting a team of six Democratic candidates running as a united slate. 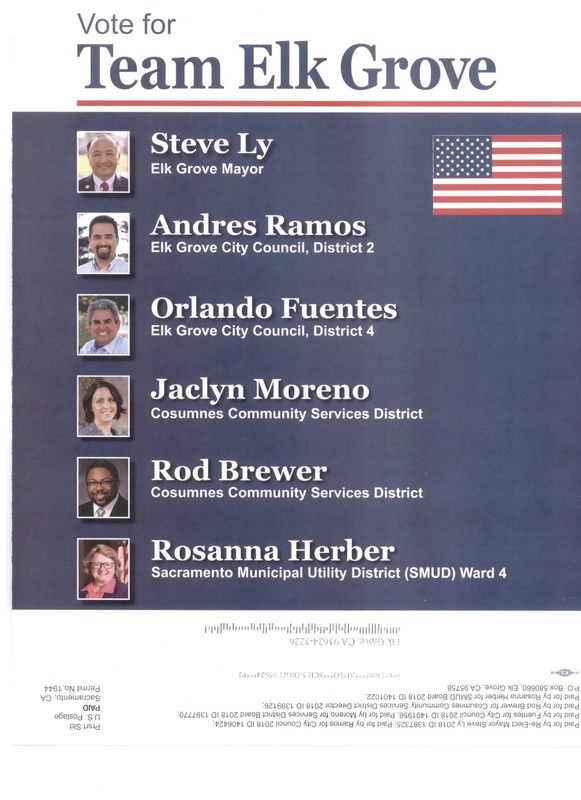 The slate includes Ly, who is running for mayor, Fuentes and Ramos; and Cosumnes Community Services District Board of Directors candidates incumbent Rod Brewer and Jaclyn Moreno. 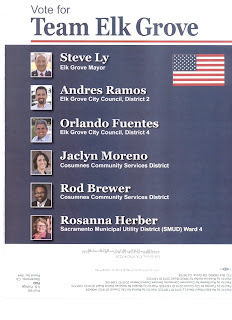 Their mailer that arrived on Thursday, October 11 now includes a sixth Democratic candidate, Rosanna Herber, who is seeking the Sacramento Municipal Utility District Ward 4 seat being vacated by Genevieve Shiroma after 20 years. Although technically a non-partisan race, Herber is vying for the open seat against Republican Angela Spease of Elk Grove in what has suddenly become a highly visible contest. Unlike an earlier mailer that did not yet include Herber, this piece has a less partisan appeal focusing on standard campaign issues like public safety and finances. A previous mailer for the then five-member team was a direct appeal to Democratic voters. 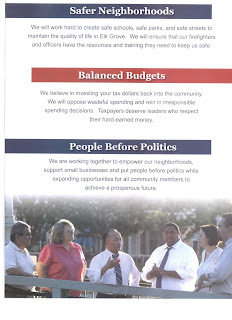 Although Fuentes and Ramos have far less financial resources than their respective competitors, the return address label indicates they have paid for an unspecified portion of a mailer. Confucius say, "in battle, man with airplane towing long banner enjoys air superiority"